A new study has revealed a significant number of deaths from traumatic brain and spinal cord injuries in connection with football-related activities in both high school and college-level athletes. Researchers wrote that findings continue to support that preventative safety measures are necessary in order to prevent concussions and improve treatment and recovery after young athletes suffer from these types of injuries. Researchers behind the study analyzed fatalities over a decade, collecting data related to age, level, position, injury type, medical care, and cause of death. 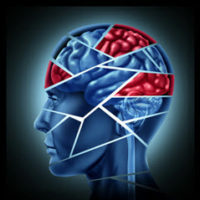 What they found was nothing short of alarming: 24 out of 28 deaths occurred within the high school-age group (with the remaining four amongst college players), and most of the fatalities stemmed from brain injuries; most commonly, subdural hematoma. Perhaps unsurprisingly, most of the fatalities occurred during a game and were specifically linked to tackling or being tackled. This isn’t the first study to link football to these types of injuries: previous studies have analyzed the potential for the contact sport to place players at risk for cervical spine injuries, as well as the potential neurological deficits that come with these injuries. All of the many adjustments that have been made concerning the rules of the game, blocking techniques, and medical care—which have reduced some risk of injury and permanent damage—have still done little to eliminate cervical spine injuries as a serious concern for football players. The most common spinal cord injury associated with football is neuropraxia of a cervical nerve root or brachial plexus. The less common—but more serious condition—is the cervical cord neuropraxia; the clinical manifestation of neuropraxia of the cervical spinal cord due to hyperflexion, hyperextension, or axial loading. Victims tend to experience pain, motor weakness, and/or paraesthesias in their extremities. However, “spear tackling” can sometimes lead to a catastrophic neurological injury or even death due to experiencing a forced hyperflexion injury. In October 2016, a superior court judge refused to dismiss a lawsuit (i.e. grant immunity) brought against a school district and two former football coaches by a football player who was paralyzed during practice six years prior, leaving him a quadriplegic. He was only 15 years old when he was paralyzed due to the injury, arguably because during practice, no instruction was provided by the coaches about the risk of serious injury if tackling was done without keeping one’s head up. The school district and coaches attempted to argue that because playing high school football is a recreational activity and since the land was being used for recreational purposes, the school district and its employees could not be held liable for any bodily or personal injury; however, the judge allowed the negligence lawsuit to move forward. Spinal cord injuries can permanently disable and even kill our loved ones. Those who survive may still be left with permanent paralysis, with loss of feeling, sensation, and muscle/motor function. These types of injuries and deaths occurring due to sport can sometimes feel even more tragic, especially when they damage young lives. The team at Friedland & Associates in Fort Lauderdale dedicates itself to helping victims of spinal cord injuries. If you’ve been the victim of an accident like this, contact our Fort Lauderdale spinal cord injury lawyers today for a free consultation.